What is the bley (blay) color? I keep reading on various lego web sites about an elusive brick color called "bley" or "blay". What is it and what is the story behind this? 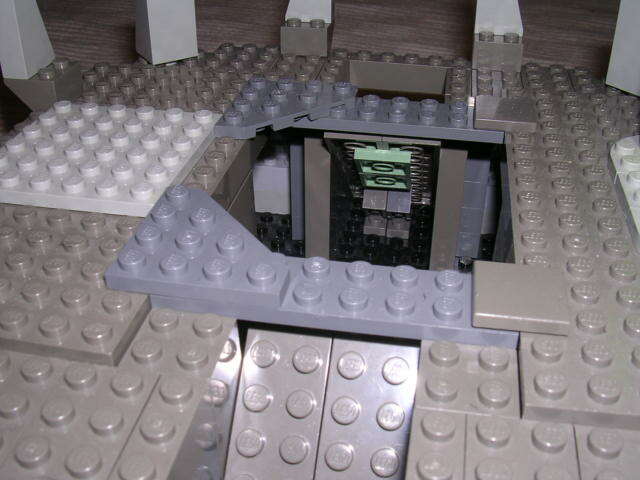 Around 2004 (if I remember correctly) LEGO changed the grey and dark grey colors. The colors before the change were the original grey colors which were in use from their introduction. They were somewhat warmer than the colors today, which was perceived as looking faded, though it had nothing to do with aging. Part of the problem was that the competition (Megabloks) was using more blueish greys, which made the LEGO greys look old. The newer colors have a colder, blueish tone, and were widely disliked in the AFOL community, because most of the time they look awful if used together with the existing old grey pieces. Depending on the lighting it can also be quite hard to tell old and new greys apart. Hence the term "bley" is used as a name for the new blueish grey. At some point, LEGO changed three of its staple colors: light gray, dark gray and brown. This was but the latest on a long series of traumatic changes imposed by the Danish company, and some fans couldn't stand it any more. While some vowed to never touch LEGO again and some didn't really care, the vast majority, who knew they couldn't fight their addiction if they wanted, decided for a more half-hearted protest approach that consisted of amalgaming "blue" and "grey" to name the new colors "bley". They hoped to show LEGO how much the new color induced nausea to them, but eventually grew accustomed to it. And it's not like they had a choice anyway. More seriously, LEGO called the new colors "medium stone grey", "dark stone grey" and "reddish brown", while the fans named them "light bluish gray", "dark bluish gray" and "reddish brown". Then LEGO produced "light stone grey", just to confuse everyone, but to their defense, if you name something "medium", it sort of implies it's not the end of the scale, doesn't it? Not the answer you're looking for? Browse other questions tagged terminology colour or ask your own question. Why did the dark grey color of bricks change? Is there an official LEGO brick color reference? What color has been produced in the highest volume? What LEGO brick is available in the most colors?